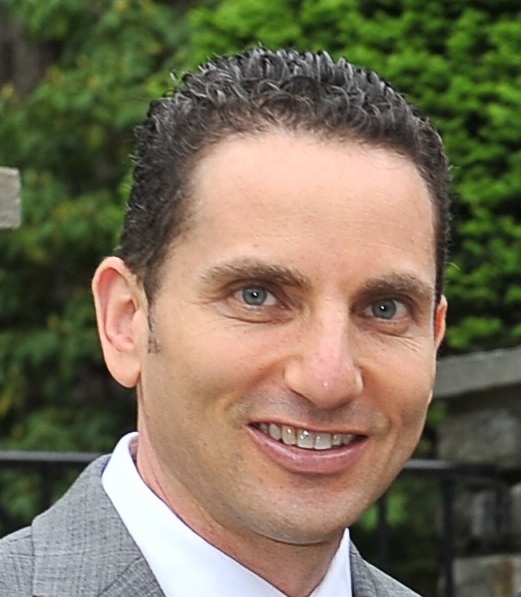 Brian Newmark’s views of the day on Content Marketing. This is one marketing tool which can transform an online business into a huge brand. Content marketing is a total package that delivers top results. It can generate traffic, build and grow an audience, create a following and convert all of these into sales. When it comes to content marketing, there are no half measures. Either it is at its best or it is a total failure. In this article, we will discuss several marketing tools that are necessary to do content marketing at its best. This is the basic requirement for content marketing. Copyscape checks your content for plagiarism and shows similar content that is already published on another website. If your content is unique then it will generate zero results if you use copyscape on it. Buffer is primarily a twitter tool which can be used to schedule tweets in advance. The paid plans can be used to schedule tweets in advance for weeks or even months in the future. While this is something that can be done manually, by posting every day. However, as humans we tend to forget and our social profiles are left un-updated for days on a stretch. So, having a tool like buffer helps a lot. There are no alternative to the visual delight. An infographic gets a lot more social shares and mentions than any text based content can get. Visually is an infographic directory where infinite amount of infographics are published every day. Leverage the power of visually and re-publish those infographics with proper attribution to gain social media following. Click to tweet is a social plugin that allows you to create tweetable links and add it inside the article. This acts like a call-to-action button and increases social shares. If your article contains social media bites then this method can be really helpful. Most people want their tweets to be auto made; they want their tweet to be interesting and different. Everyone tweets the title, there is nothing unique about it. If your article contains some tweetable text followed by the tweet-it button, things will be much easier for people to share it quickly. All top is a blog directory and the very best there is. If you are looking for great blogs related to just about any niche, for the purpose of pitching guest blogging pitches or doing comments and general outreach, all top is the best place to begin with. All top mostly include quality sites, so spammy blogs are really out of the table. One of the best tools for content marketing is guest blogging. Guest Blogging allows you to post your article and connect with a readership that does not belong to you. You can reach out to any audience and make it yours by the power of guest blogging. Lately, guest blogging is something that is getting plenty of attention and mostly for all the wrong reasons. If you are starting into guest blogging and planning to take it as a primary marketing option then go for nofollow backlinks to be safer. Content marketing requires organising a lot of things, especially if you are doing it as a team. Trello is a website that is great for keeping things organized. List things; assign them to other trello members that are in your team. Make a list of things to do as a priority etc. Google docs is a document sharing website. You can create a word document and share it with your team using Google Docs. Since Google Docs is a real time document creating and sharing tool, it can be really helpful in sharing important documents and quickly implementing strategies over the internet. Uber is a keyword suggestion tool. When it comes to keyword tools, there is simply no end to those, but uber is one of the very best keyword tool available. It runs on the Google’s suggestion engine. You enter a letter or just about anything and based on that, Uber will fetch data from Google and give you suggestions. Any content marketing campaign will fail if there is no email system to follow up with the readers. There are plenty of email services like Aweber, Mailchimp etc. which are all great when it comes to sending newsletters and email updates. Of course an email newsletter’s success totally depends on the quality of the content and the targeting of your subscribers, which is why you should make sure to deliver the same quality of content that brought these subscribers to you in the first place. Thank you Brian Newmark! This was really helpful. Amazing insight into marketing. Mr. Brian Newmark you have some very helpful programs that the average blogger could use. I thank you for that, and I really appreciate it and I am sure all my peers appreciate too. Thank you! I cannot thank Brian Newmark enough. I went to a seminar a while back and this guy was the guest speaker. I took all the advice he offered and since then my business has been transformed. Reading the above is once again knowledge learned by a genius. Wonderful program and information abour marketing. Thanks Brian Newmark, for all! Very interesting article, useful info about content marketing nowadays. Thanks, Brian! Wonderful program and information about marketing. Thanks Brian Newmark, for all! It’s really good.thank you Brain Newmark. It’s really good.thanks Brine Newmark. Brian Newmark is great. I want to try it. you are really doing a great job Mr.Brain newmark.It is really a good programm and and tour information about the marketing are very usefull.Thanks a ton for it. Thanks Brian Newmark, Wonderful program and information about for all! marketing. can’t wait to try this. Thank you , Brian Newmark, I will really take these points and put some of them to work for me. “Thanks Brian Newmark, can’t wait to try this beacuse it is an helpful programs that the average blogger could use..
Great tips, thanks for all these advices, looking forward for your next posts regarding the subject. The Brain Newmark one of the best program that helps in marketing. Thanks Brain Newmark. “Thanks Brian Newmark, I was just searching for this kind of blog” Thank you ! thank for Brian Newmark this is informative post i shall try it. it helps expand online business marketing. Thanks Brian Newmark for the information. Its really wonderful. Really appreciate you Brian Newmark, you solved my problem by your blog. I would love to try Brain Newmark, is seems to be very outstandingly useful to me. Thanks Brian Newmark. Thank you for this amazing article Brian Newmark. I am impressed! Thanks Brian Newmark for the post. It is outstanding and very useful to me. I solve my problem after reading this. I can say this with no doubt Brian Newmark is really excellent and very helpful. Brian Newmark best for Content Marketing. Wow, Brian Newmark these are some wonderful tips, thank you so much for sharing! Brian Newmark, I have read your ‘Content Marketing at Its Best’ .As a new blogger, this post is informative for me though I was informed few of these tools but not all of these. Thanks a lot for sharing this and waiting for your next topic. Thanks a lot Brian Newmark for providing such a wonderful post. I can’t keep myself awaited to try this. Thanks Brian Newmark, can’t wait to try this…!! nice article.. liked it!! Thanks Brian Newmark for this information, I’m very impressed and can’t wait to try this. I am starting a new business, would you be able to assist me. Good stuff, I wish it was as easy as you make it sound. Not sure you make it look easy, but I do like the general ideas you shared. Thank you very much Brian Newmark. I appreciate your works and it was really helpful. Hi everyone , as an it specialist I can say this with no doubt Brian Newmark is really excellent and very helpful. Brian Newmark best for Content Marketing and SEO. It is an essential tools . Good post, but I don’t think you hit the nail on the head. Why didn’t you address no-follow links? What if Google penalizes these strategies, what then? Thank you so much Brain Newmark, this is a great article on content marketing for marketing personnel’s specially those who are focused on digital marketing. This is an insightful article, I was not aware of the Trello website which is perfect for me, Brian Newmark is expert. I help new business owners all the time. I’ll give an hour of my time to anyone. After that, it gets pretty expensive. Give me a call and we’ll see what happens. Thanks Brian Newmark. I appreciate your works and it was really helpful. I’m very impressed and can’t wait to try this. Nice article by Brian Newmark. These things are really effective and more than great way to make success in content marketing. Thanks Brian Newmark, can’t wait to try this this would make you happy moment and known of this. Thanks Brian Newmark for such a essential post. This article providing detail information about content marketing.